Betties N Brimstone: Happy Halloween! Happy Halloween! It just occurred to me that I haven't, er, been writing here for a while. I guess life got in the way... 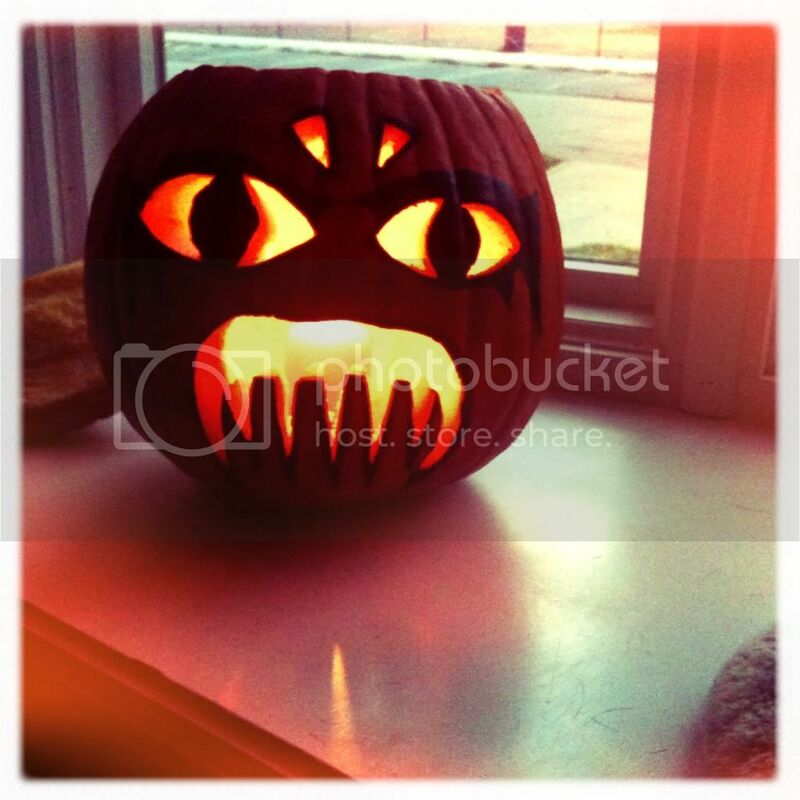 Anyhow, I do have a bunch of fun posts to share with you - starting with these photos of our pumpkins from this year. 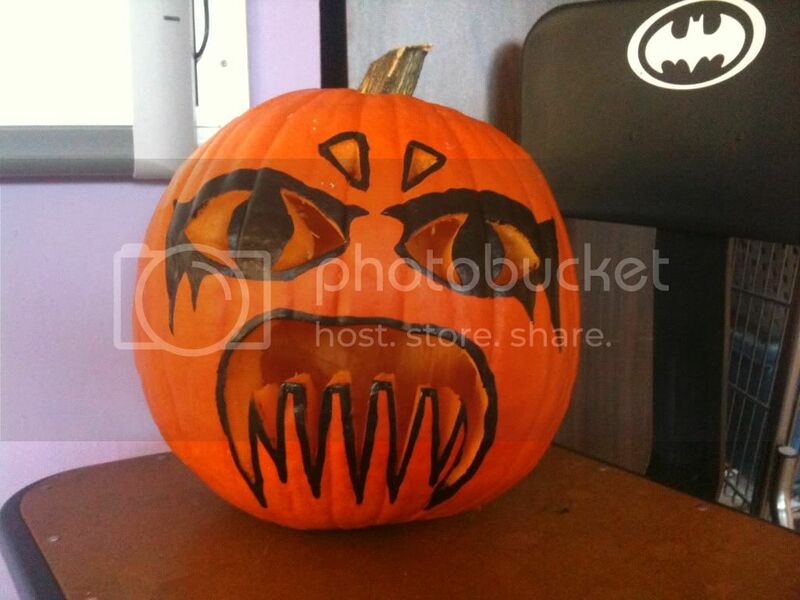 My pumpkin was inspired by Todd's "King Diamond" halloween costume this year. But photos from that (and the party last Saturday) are coming soon...! 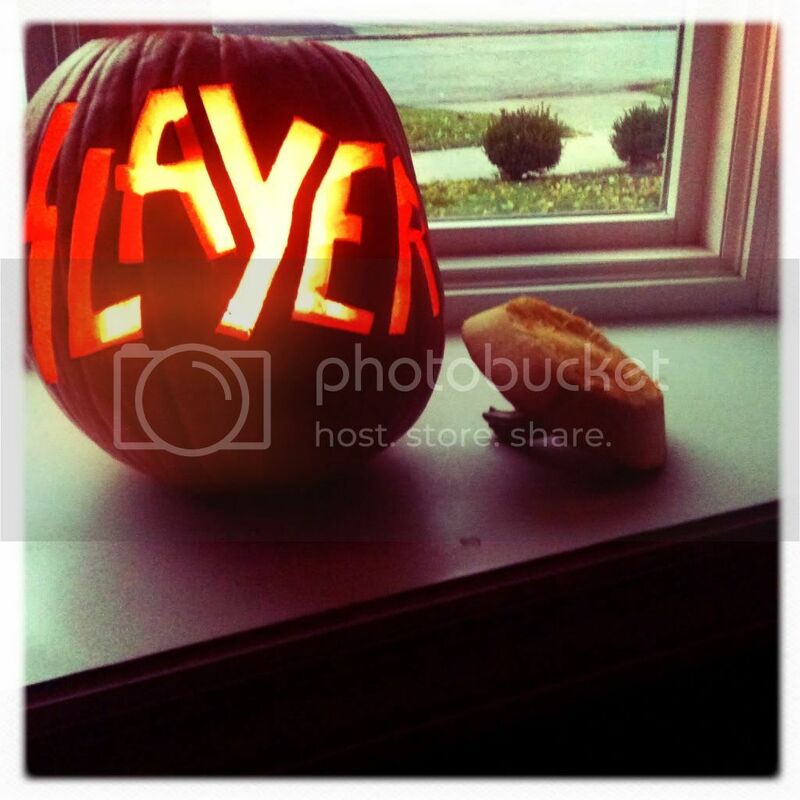 hahaha yes, a slayer pumpkin!! happy halloween guys! next halloween you will have a little man to dress up! Hi Donna! Yes, we'll have to come up with something awesome with which to dress up the little guy next year...!! !